If having a more independent living space is important, The Hollies is ideal. Open to both Glenside Campus and Frenchay Campus students, it’s located opposite our Glenside Campus. With flats available for three to eight students, you’ll have your own room and shared living space – and be within easy reach of the Glenside Campus facilities, as well as the shops, bars and cafes on Fishponds high street. Frenchay Campus is a short bus ride away or a 30 minute walk – for getting to lectures, or accessing facilities like the Students’ Union and Centre for Sport. The Hollies is also on the bus route in to the city centre too. To be within walking distance of Glenside Campus and convenient reach of Frenchay Campus. 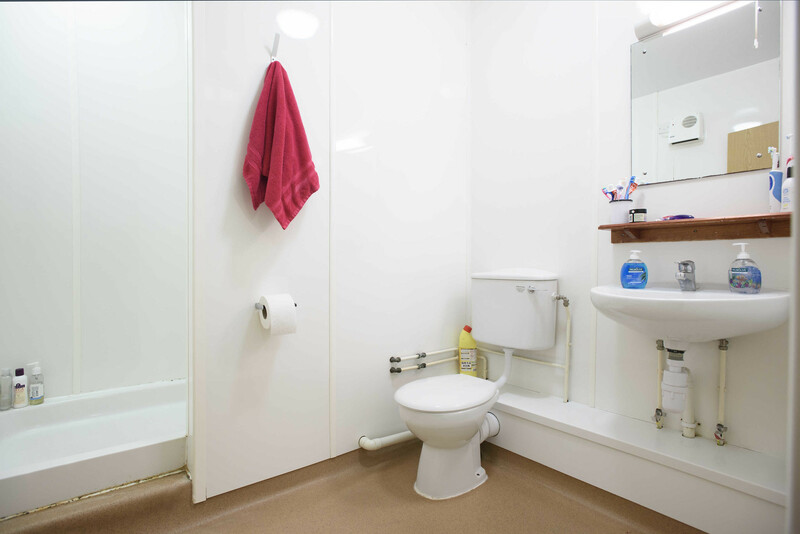 Flats of six or more - two shower rooms As above, plus separate shower room and separate toilet. All flats - kitchen with cooker(s), microwave, kettle, fridge/freezer, waste bin, storage cupboards, ironing board. Dining area with table, stools, easy chairs/sofa. The Hollies, Quarry Way, Bristol, BS16 1FU. If you'd like to make The Hollies your new home, find out how and when to apply.